Sell My House! A Thriving Market + The Right Realtor® = More For You! 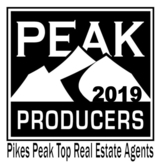 IT IS THE PERFECT TIME TO SELL YOUR HOME IN THE GREATER COLORADO SPRINGS AREA! In fact, our current market, with the right REALTOR, is offering today's homeowner an opportunity to see a sizable return when selling their home. When choosing the right REALTOR® to sell your home it only makes sense to hire someone that consistently gets results. SELLING YOUR HOME IN THE DIGITAL AGE With 95% of today's homebuyer's searching for their next home online it is critical to stand out with the most polished and engaging marketing assets when selling your home. A home properly prepped, presented and marketed can bring a much higher sales price, better terms, and a quicker sale. Our professional 3D online virtual showcase tours let buyers virtually walk through your entire home from the comfort of their couch. This creates an immediate, lasting emotional connection because they can actually experience the home as if they were physically walking through it. Far superior to videos and pictures! - Take it for a test drive! This could not be truer when selling your home and that is why we hire the areas Top Real Estate Photographer to shoot and professional edit (HDR) numerous photos to best represent your home. By marketing to our database of 25,000 contacts, we are probably already in front of your potential buyer. LET US SHOW YOU! When researching all the data that would affect the pricing and marketing strategy of the home we will pull a list of those actively searching homes with similar criteria to make sure we put your home in front of them. We present this list with everything else at our listing presentation. PROGRESS UPDATES EVERY TUESDAY UNTIL YOUR HOME IS SOLD. GUARANTEED! COMMUNICATION & TRANSPARENCY IS WHAT ONE SHOULD EXPECT WHEN HIRING A PROFESSIONAL. NO EXCEPTIONS! ALTHOUGH WE ARE AVAILABLE WHENEVER YOU HAVE QUESTIONS, WE FEEL IT IS CRITICAL TO SHARE THE EFFORTS THAT ARE BEING TAKEN TO SELL YOUR HOME AND WHAT TO EXPECT MOVING FORWARD. YOU WILL NEVER WONDER IF WE ARE WORKING TO SELL YOUR HOME! CALL: (719) 259-4001 For Your Personalized Plan To Sell Your Home!